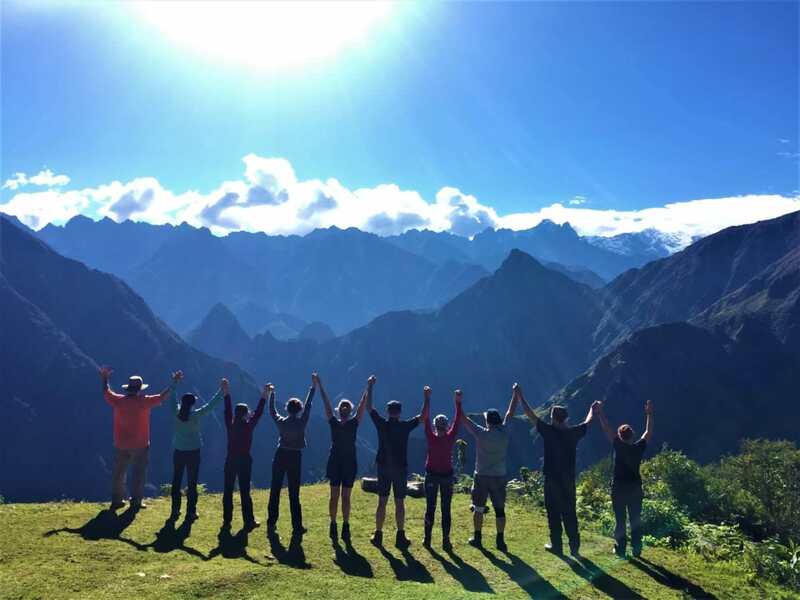 Lares Trek Retreat to Machu Picchu will take you to the most remotes places in Peru, the tour Combines nature, native villages, llamas, alpacas, Yoga, meditation, spiritual Ceremonies, Lakes, glaciers, and cooking lessons to make this journey the most amazing experience. This is an excellent alternative trek that offers a perfect combination of traditional adventure trek and cultural immersion with the native communities. Taking you off the beaten track where participant can interact side-by-side with the families, local schools, majestic glaciers, blue lakes, waterfalls, llamas, and alpacas. 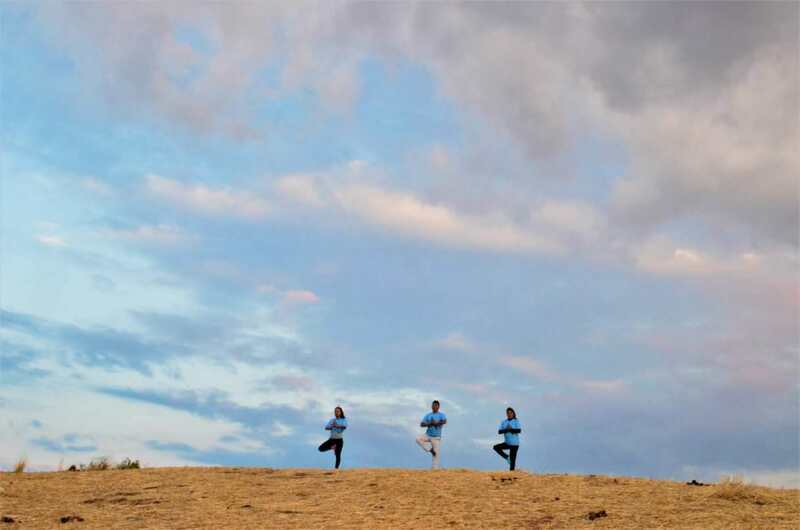 The Trexperience team will pick you up from your hotel at around 5:00 am (depending on your location) and drive you through the beautiful landscape of the Sacred Valley of the Incas to the famous Lares thermo-medicinal baths – arriving at approximately 8:00am. We will jump straight into the medicinal pools – all of which are set at different temperatures. The water is great for your bones, muscles, stress and headaches and therefore this is the prefect way to prepare for your Trexperience! 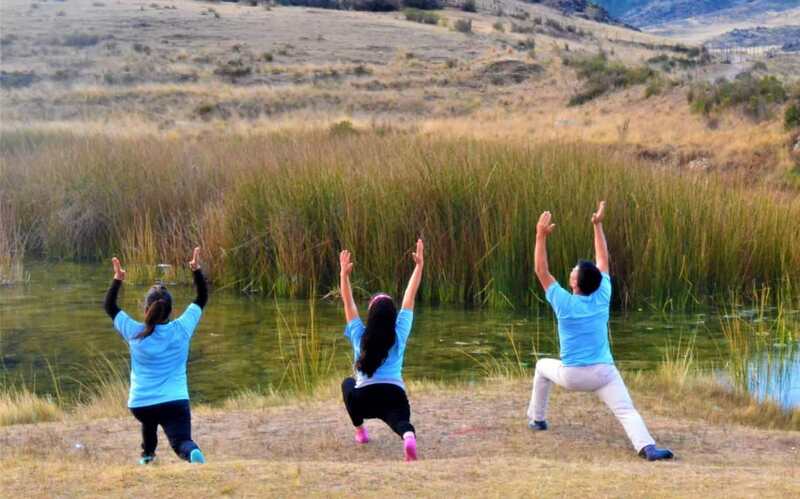 After soaking our bodies we will have our first Yoga session with amazing views of the mouantins to later enjoy breakfast in a beautiful location surrounded by the majestic Andean mountains. Today’s route is relatively easy with 2 hour trek uphill until we reach Kiswarani village. Our chef will be waiting with a delicious lunch that has been freshly prepared using natural, organic, local produce. It’s then another 2 hour walk to our campsite, located on the bank of a beautiful blue lake at (3750 m/ 1230 ft). Along the trail we will pass picturesque landscapes adorned with traditional Andean houses made of adobe bricks and thatched roofs. Here local villages survive by farming potatoes and raising llamas, alpacas and sheep. We will pass beautiful streams and a waterfall which is the source of the Amazon river – the largest in the world. On reaching our campsite your tents and a hot cup of tea will be waiting for you. This is a perfect place to relax, stargaze, and learn about Inca astronomy. We will wake you up bright and early with a hot cup of coffee or cocoa tea. This is our longest and most challenging day and after breakfast it is a 4 hour hike uphill to Condor Pass (4700 m / 15354 ft) – the highest point of this journey. Along the way we will enjoy beautiful lakes where Wallatas (Andean geese or ‘love birds’) swim in the crystal clear waters and pass the imposing Andean mountains of Pitusiray, Sawasiray, Qolquecruz, all of which are over 18,000 ft. At the summit of Condor Pass we will serve you a well-deserved cup of hot tea and you can take some time to rest while your tour guide performs a spiritual offering ceremony to the sacred mountains, we will have enough time for Yoga and meditation. It is then over a 3 hour descent through the breathtaking scenery. You will be able to see lagoons, exotic birds, llamas, alpacas, vizcachas (which look a lot like rabbits) and wallatas along the way. Our campsite is located at Cancha Cancha (3750 m / 12 303 ft) – the only village in the Lares Valley that is completely isolated from any modern technology. This includes no drainage system, electricity, computers, internet connection or cellphone service. 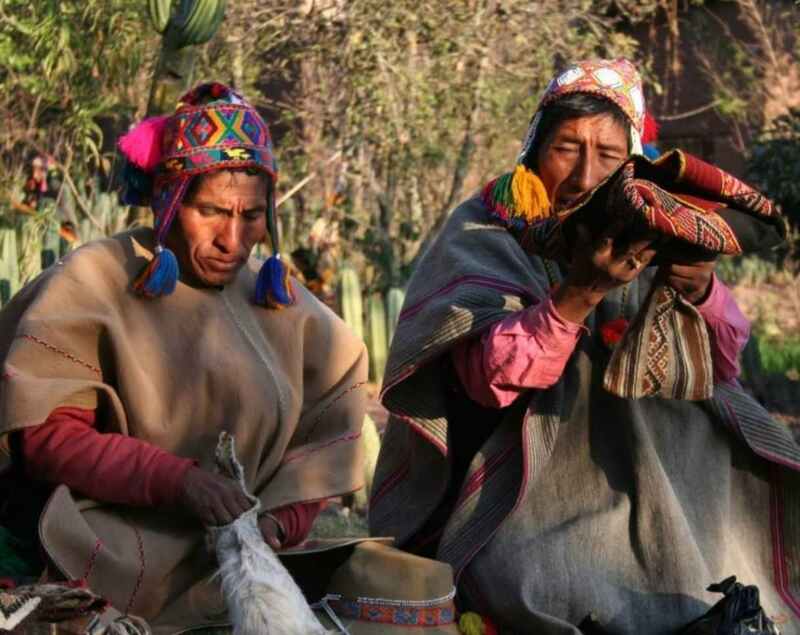 Here they speak only Quehua – the ancient language spoken by the Incas. You will have the afternoon free in Cancha Cancha meet and interact with the local people, visit a local school and help teach and play games with the children. The villagers will welcome any donations of food, school supplies or anything else you would like to give to help support the health and education of this isolated community. Late in the afternoon your guide will take you to visit one of the families’ homes. 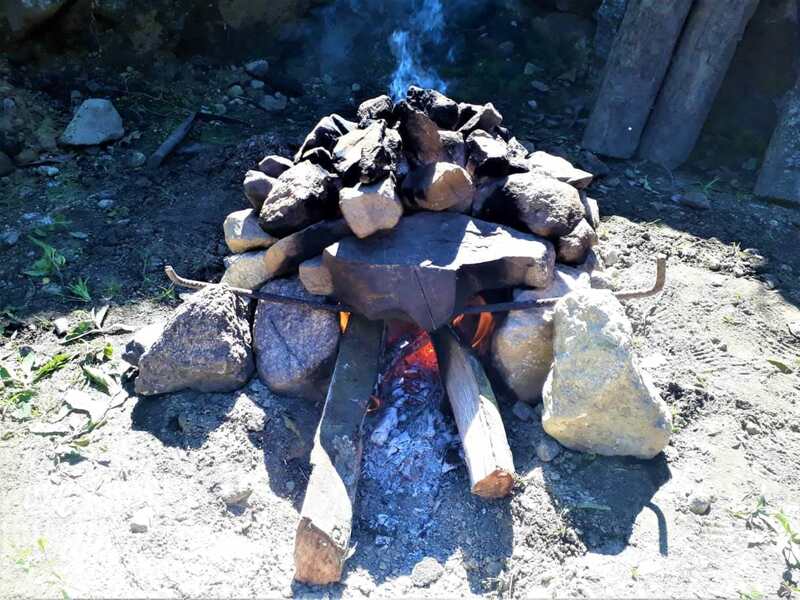 Here you can experience first hand their traditional lifestyles passed down from the Incas, sample traditional food and see how they raise guinea pigs, llamas and alpacas. By the evening our chef will have prepared dinner for us to enjoy together before a well-earned nights rest. 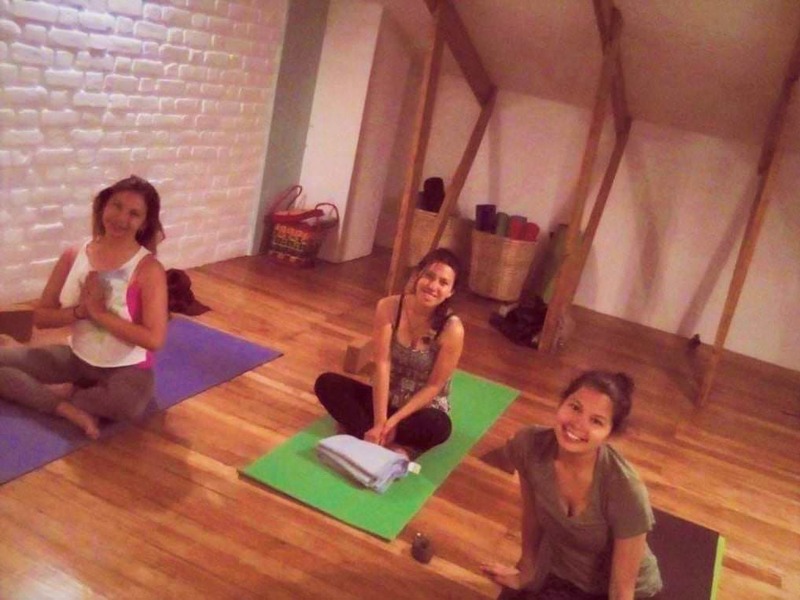 Starting the day with a beautiful view of the mountains, relax and stretch with our early Yoga time and a delicious breakfast we then prepare for our final decent from the highlands into to the sacred valley. First we will say goodbye to the last remaining village still practicing Inca traditions, and isolated from all modern technologies, before we begin our 4 hour trek downhill. Along the way you can observe different types of ecosystems – from the colder highlands, where only potatoes are grown, to the fertile soils of the sacred valley, where maize is the main produce. Our Trexperience concludes in a small town called Huaran (2700 m / 8856 ft), and from here a private bus will drive us to Ollantaytambo; “Last Living Incan City”. Or as it is sometimes known; “World Capital of the Native American”. We will take some time to explore these ancient streets and the water channel that has been in use since Inca time. We will have dinner in a local restaurant in Ollantaytambo before catching the 7:00 pm train to Aguas Calientes, where we will spend the night in a hotel. On our final day we have to get up very early to prepare for the highlight of your Trexperience; visiting Machu Picchu – the Lost City of the Incas. We will go straight to the line to wait for the first bus going up to Machu Picchu at 5:30 am. Arriving as the sky brightens, we will climb to the upper of Machu Picchu to find a quit spot for our final meditation time as we enjoy the view of this place. On a clear day you can watch the spectacular sun rise over Machu Picchu. This is truly an unforgettable sight. Your guide will take you on a 2 to 3 hour comprehensive tour of the city before leaving you in Machu Picchu to explore on your own or climb either Huayna Picchu or Machu Picchu Mountain (tickets must be booked as far in advance as possible). Your guide will explain how to take the bus from Machu Picchu back to Aguas Calientes for lunch (not included) and then take the train and bus back to Cusco. The Trexperience Team will meet you off the train and return you safely to your hotel.